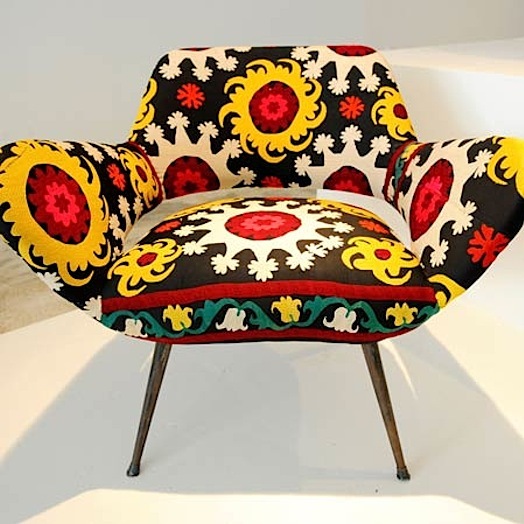 Thanks to Uzbek Journeys client, the stylish Carolyn Leigh, I have discovered Beirut-based Bokja Design and my head is spinning with ideas! 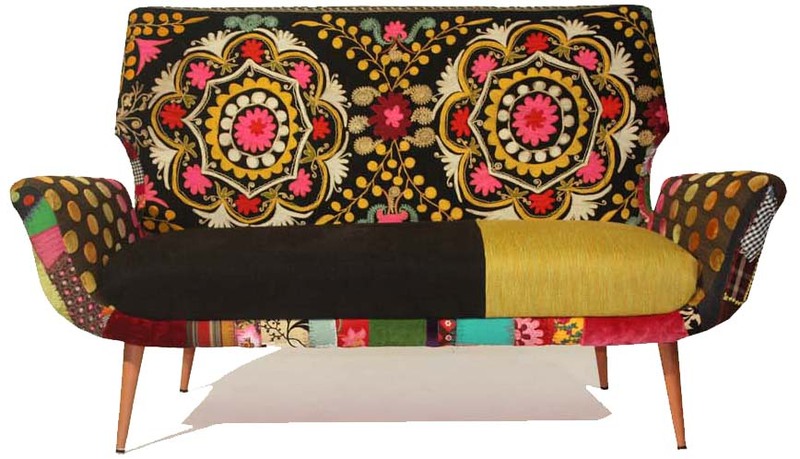 The women behind the Bokja concept, Hoda Baroudi and Maria Hibri, have a passion for vintage textiles from the Levant and the Silk Road, and furniture from the 1950s - 1970s. Uzbek suzanis feature heavily in their collection. It is the attention they create between the traditional textile and the modernity of the furniture piece that they use it on, that makes Bokja pieces so special. (Bokja by the way is the word for the intricately embroidered fabric in which a bride's dowry is wrapped). In an interview with the online magazine Greek Architects, Baroudi and Hibri explain, "We are mixers and matchers who like to upcycle fabrics, frames, and techniques in a sustainable and fascinating way. We are story-tellers. Every piece of fabric, color, thread, frill that goes into our pieces is a little word from a different part of the world that is chosen in an intuitive process. We collaborate with artisans who use their hands and our mission is to help those people and to make these handicrafts last". Baroudi and Hobri claim "to spin tales on our furniture with the inventiveness of Scheherazade and the freedom of modern-day heroines". They sound like my kind of women. The Sunday market at Urgut, about 40 kms from Samarkand, is the place to pick up suzanis suitable for upholstery. The vintage pieces there can be sturdy and are inexpensive, though the sellers are the most persistent in the country, and you have to haggle hard. I have a footstool project in mind to start with, followed by a chair. Do visit the Bokja website and swoon.